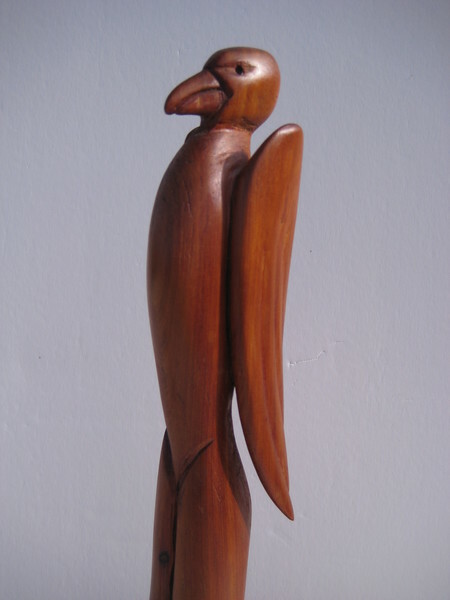 figurative mystical sculpture, hand carved in beautiful woods ~New Mexico Saltillo Cedar, Red Cedar, Hawaiian Koa and Kamani (rare), Mohagany and Black Walnut. Some sculptures are right for outdoor or larger sizes. Just about any sculpture can be enlarged and cast into aluminum or bronze. Consider a commission to enlarge a sculpture to enhance your garden, lobby, retreat center, school or park.